To cater to the needs of different industries across the globe,we manufacture and supply a comprehensive range of organic compounds, which is known amidst our clients for its versatile uses and superior functionality. These organic compounds are made using state of the art technology to ensure best quality. 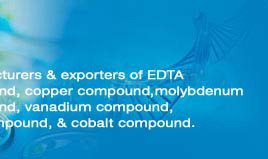 Our range includes camphorquinone, 2-mercaptobenzothiazole, homopththalic acid, homopththalic anhydride and many more. Appearance : Pale Yellow Crystals . Packing : 5Kg., 20Kg., 50Kg. Chem. Name : 2-3 Bornanedione. Appearance : Pale Yellow Crystalline Powder. Homopththalic Anhydride - C9h602 1-3-Iso Chromandione is white to off white crystalline hygroscopic powder. This chemical is highly soluble in alcohol and acetic acid. Moisture sensitive, it can be stored in refrigerator at (+4°C) temperature. White solid organic compound, Bronopol is widely used as an antimicrobial. This chemical is extensively used in consumer products as an efficient preservative agent, as well as a broad variety of industrial applications. 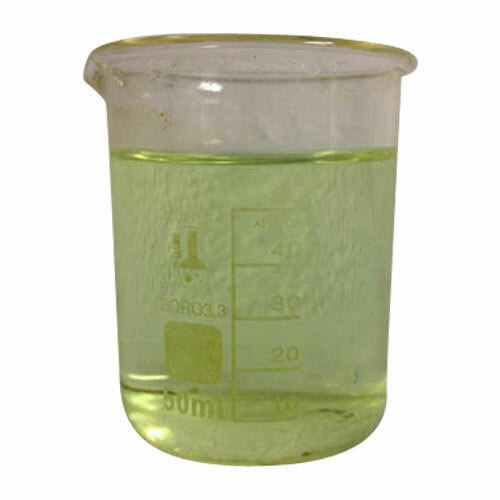 Produced by the bromination of di(hydroxymethyl)nitromethane, it is readily soluble in water. Further, Bronopol is a formaldehyde-releasing preservative (FRP) that is used in place of formaldehyde for people who are responsive to it. Description : White crystalline Powder. 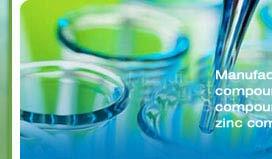 Integral color anodizing, 5-Sulfo Salicylic is used in urine tests to find out urine protein content. This chemical leads to precipitation of dissolved proteins that is measured from the degree of turbidity. This acid is ideal for essential color anodizing. Along with the water, it is used as a shuttle solution for the CAS assay to examine for siderophore. With molecular formula C7H6O3, 3-Hydroxybenzoic acid is a constituent of castoreum. Toxicity of this chemical is comparatively low to aquatic organisms and thus belonging to three trophic stages were higher than 32 mg/l. Slightly soluble in water, this acid is extensively used in perfumery. Pyridine is a vital heterocyclic organic compound along with the chemical formula C5H5N. This is structurally associated to benzene, with one methine group substituted by a nitrogen atom. It is broadly used as a precursor to pharmaceuticals and agrochemicals & is also a significant solvent and reagent. Moreover, this chemical is added to ethanol for making it unsuitable for drinking. Purity By GlC : 99.7%. Moisture By K.F. : 0.23 %. Test Method Ref. : GlC & Karlfischer. QUININE SULPHATEis a natural white crystalline alkaloid with analgesic (painkilling), antipyretic (fever-reducing), antimalarial, and anti-inflammatory properties, Having bitter taste, it is a stereoisomer of quinidine, which is an antiarrhythmic. 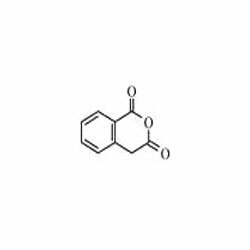 Containing two major fused-ring systems: the bicyclic quinuclidine and the aromatic quinoline, this chemical is used for treating established malarial infections, and can also be used for treating leg cramps. Solubility : Slightly soluble in water, sparingly soluble in boiling water and in alcohol. Identification : A) BY TLC: The principal spot in the chrometogram obtained with the test solution is similar in position, colour and size to the principal spot in the chromatogram obtained with the reference solution. C) An intense blue fluorescence appears at 366nm when treated with dilute sulphuric acid which disappear completely by adding lml of HCL. D) The solution in dilute HCL gives reaction of Sulphate. E) The pH of 1.0% solution in water is 5.7 to 6.6. Cinchona Bark is an herbal chemical that is widely used for increasing appetite. This helps in promoting the discharge of digestive juices; and treating fullness, bloating, and other stomach problems. 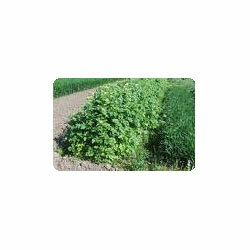 Further, it is also useful for blood vessel disorders comprising varicose veins, hemorrhoids, and leg cramps. Also known as peruvian bark, calisya bark, cinchonae cortex, yellow quinine, and red cinchona, it is perfect for eye lotions to kill germs, numb pain, and as an astringent. 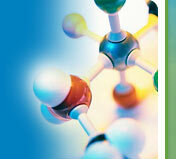 Speciality Chemicals are used synonymously for this group of chemicals. These chemicals are also known as "effect" chemicals as they provide extensive range of effects on which many other industry sectors rely. The assortment of chemicals are extensively used in adhesives, agrichemicals, construction chemicals, cleaning materials, cosmetic additives, elastomers, Industrial gases, fragrances, surfactants, lubricants, polymers, flavours, food additives, and textile auxiliaries. We have engaged capable professionals who have immense expertise in the pharmaceutical industry to manufacture the whole gamut of chemical compound under the compliance of international quality standard.Sodium Chlorite Liquid.